Hello! 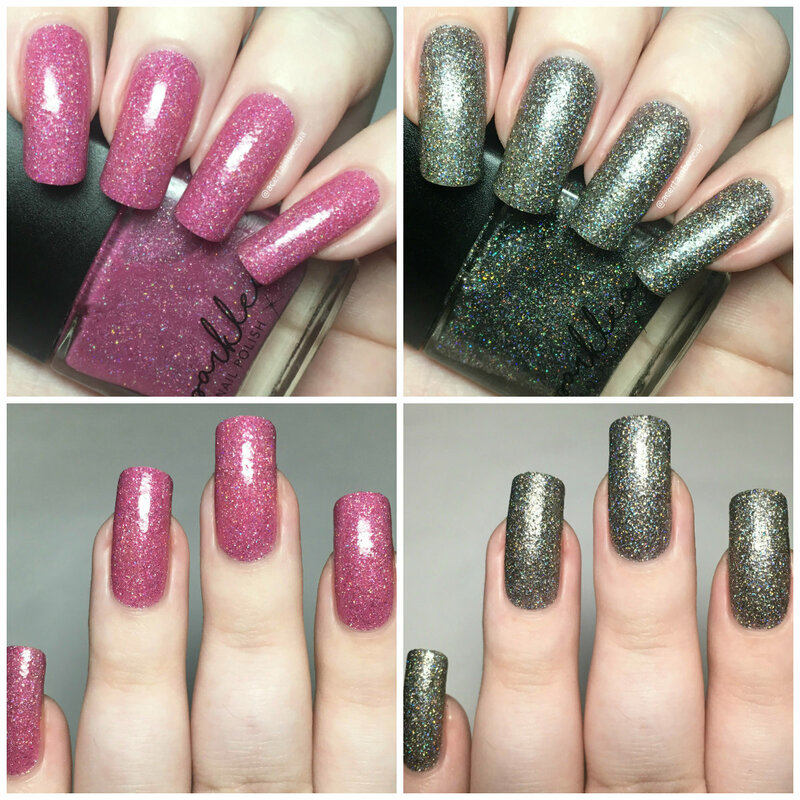 Today I'm back with swatches of two new additions to Sparklea Nail Polish's Harry Potter line (see my swatches of the original six polishes here). Back in March, Lea added a pink called 'High Inquisitor', and a black called 'Dementors Kiss'. Both are jellies packed with holographic glitter. Read on for my full swatches and more info! 'High Inquisitor' is a pink jelly base full of silver holographic microglitter. The formula is smooth and easy to apply. The jelly base is fairly sheer on the first coat, but builds up surprisngly well and is opaque after a second. The glitters do dry down slightly textured yet are easily smoothed with topcoat. Below is two coats with topcoat. 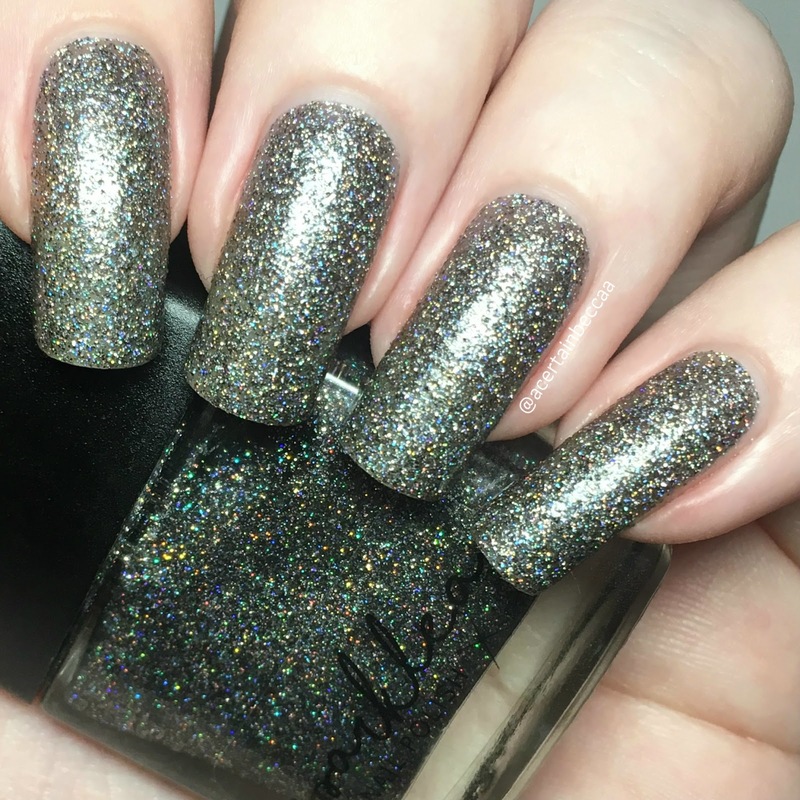 'Dementors Kiss' is a black jelly base full of silver holographic microglitter. Again, this has a smooth and easy to apply formula. It does build up nicely in two coats, although I did decide to add a third to deepen the base a bit more. 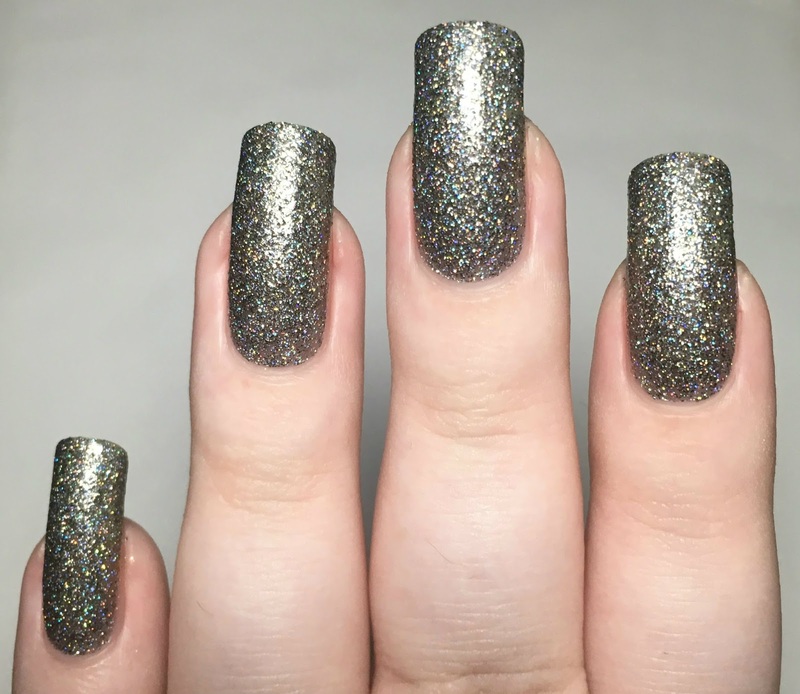 I decided not to topcoat this one so I could show the slightly textured finish. Below is three coats without topcoat. What do you think? Both of them are gorgeous! 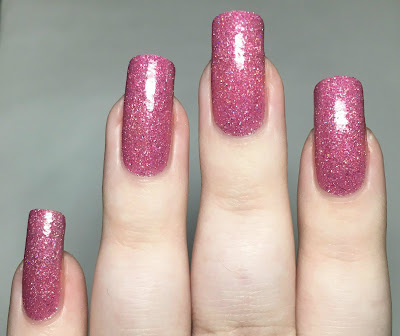 I was really impressed with how easy they are to apply, especially considering how much glitter they have. I wouldn't be surprised if Lea continues to add more polishes to her Harry Potter collection now and then, so I'd keep an eye out! Unfortunately, both of these are out of stock. 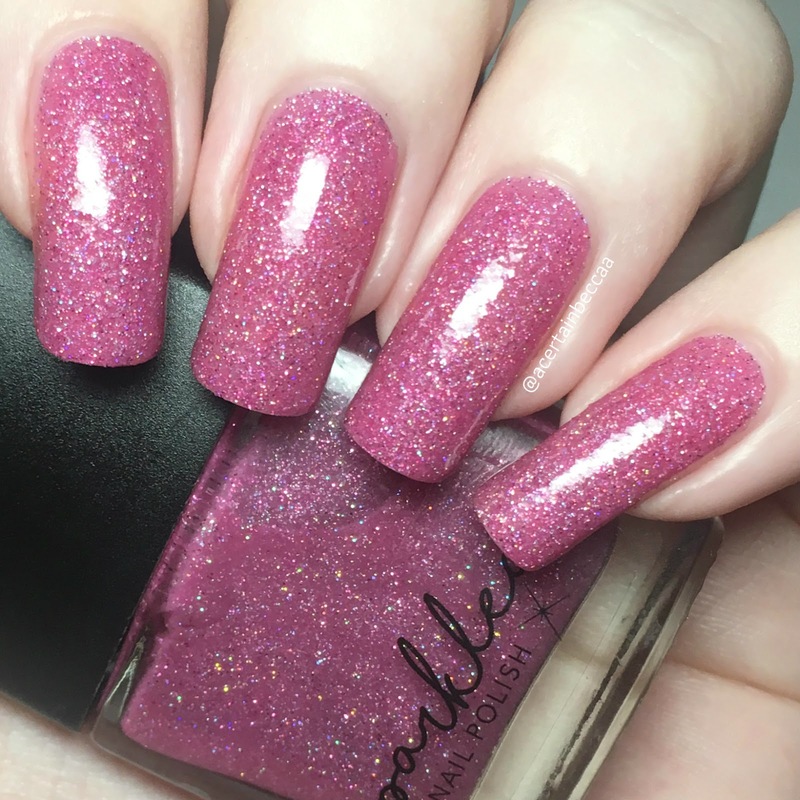 However you can find the rest of the Harry Potter collection, along with lots of other polishes, on the Sparklea Nail Polish website here. You can also find Sparklea Instagram page here. Gorgeous and I so wish I had grabbed these. I wonder if Lea will make any more? Your swatches have me craving them even more.